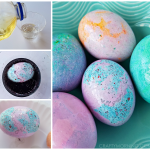 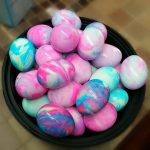 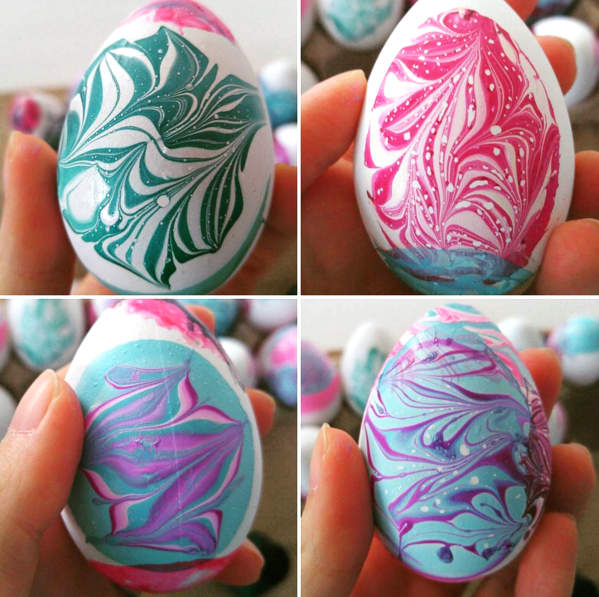 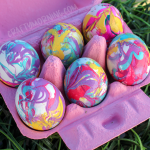 These gorgeous water marble Easter eggs were made by Shay from ThroneandThimble! 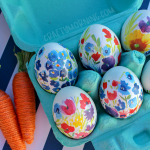 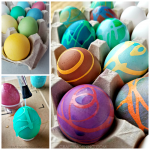 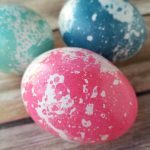 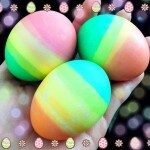 I am always on the hunt for unique egg decorating ideas and now I am dying to try these! 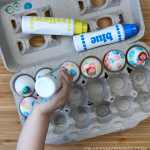 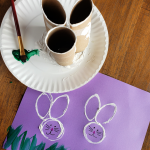 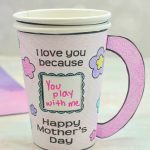 Note that you will want to do this activity with older kids since you are using nail polish. 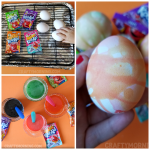 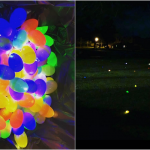 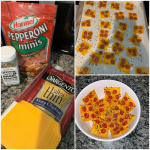 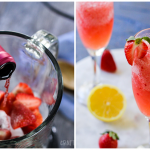 To get the directions go here or watch the video tutorial below!